History records that greenhouses have at times existed to cater to the whims of the powerful and the wealthy. Take the example of the Roman emperor Tiberius, whose “specularium,” was created meticulously from small fragments of translucent mica. Its sole purpose was to enable the emperor to enjoy his cucumbers out of season. Today, advanced design technology, ecological considerations and cheaper materials have expanded the reach of greenhouses which were once simply akin to expensive toys. Judging from the orientations of buildings, greenhouses may have existed during the glory days of Pompeii, when the principles of harnessing solar energy were already known. Centuries later, during the 1500s, some fledgling European greenhouses were built of brick or stone with large windows for south facings and smaller windows for northerly facings. These ornamental structures housed the exotic, tropical plants acquired abroad and brought back to Europe by explorers and merchants. They were the property of the nobility and the very wealthy. 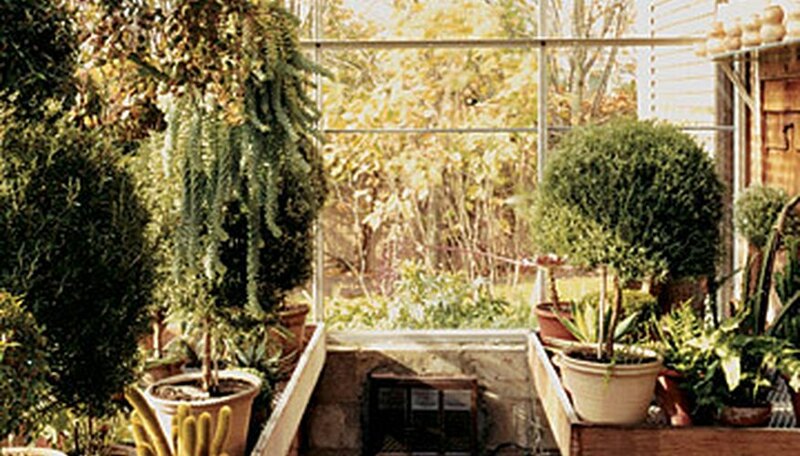 Throughout the 17th century, greenhouse designers experimented with angled glass walls and flues for heating, as their wealthy patrons vied with one another to create showplace sanctuaries for their exotic, imported plants and flowers. In the early 1800s, English society adopted the fashion of glassed conservatories attached to stately homes. Conservatories were as much status symbols and venues for entertaining as accommodation for plants. Steam heating was in use to protect plants and owners from the harsh cold of winter. The high cost of glass kept greenhouses well out of reach of the man in the street. However, in 1845, the repeal of the English glass tax finally opened the door to greenhouse and conservatory ownership by the Victorian middle class. The elite European "orangery" housed citrus trees that would not otherwise survive the winter cold. It was an extravagant building extension to a stately residence, with a solid roof, glass walls and stove heating. A lavish orangery was built at the Palace of Versailles near Paris to accommodate King Louis XIV’s 3,000 orange trees. The impressive glass and iron conservatory at Chatsworth House, the estate of the Duke of Devonshire in England was designed by Sir Joseph Paxton (1801-1865), who was knighted for his work. Paxton also created the Great Exhibition’s Crystal Palace Conservatory in London in 1851. During the 20th and 21st centuries, prefabrication, aluminum, fiberglass, polyethylene (PE) and polyvinylchloride (PVC) materials have made greenhouses much more cost-effective. Greenhouses are now purpose-designed to meet the needs of commercial horticultural and agricultural growers, retail nurseries, and research and educational institutions. For example, Agra Tech in California manufactures a range of greenhouses, from a state-of-the-art, steel-framed Solar Light facility to more economical Quonset greenhouses such as the Thermalator and Cold Frame, to The Continental which suits all climate zones worldwide. Agra Tech also offers The Agra Tunnel, which is an inexpensive field cover designed to shield field crops from sun, wind and frost damage. July 2009 marked the opening of the Omega Center For Sustainable Living (OCSL) education center and natural waste water treatment facility in central New York. Its centerpiece is a 4,500-square-foot greenhouse that accommodates a water treatment system called an Eco Machine. The system uses plants, algae and other materials to recycle OCSL’s waste water into clean water. The concept is that of the eminent biologist, Dr. John Todd and his company, John Todd Ecological Design.